The Secret principles were life changing for me. It was the book that changed my perspective of how much control I had over my life. There was definitely a shift within me once I finished it. This was the first book I had read in a long time and it was only just the tip of an iceberg into my interested into personal development/self-help or as I often refer to it as free coaching. A quick background: The book was writing by Rhonda Byrne and was published in 2006. It is based on the concept that are thoughts, whether they are positive or negative, will either attract or repel things in life such as wealth, health and happiness. This is known as the law of attraction. Rhonda teaches us the Secret principles through her own personal experiences and features stories from other experts in the personal development field. 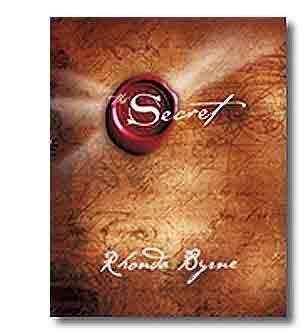 Rhonda discovered the concepts of The Secret after she hit rock bottom in her own life and claims the concepts to be life transforming and I agree. This book is also really special to me because I was introduced to it by my mother in 2007. My mother died less than three years later so I see this as a "gift" from her to help me navigate through the rest of my life. I have to admit it was not love at first sight. Without even opening the book I quickly dismissed it because I thought it was silly. It took a really snowy winter a half a year later until finally I open the book. When I was reading the book it was early 2008 and I remember thinking that I have all these things I want to do but I have not made them happen yet. Maybe because I didn't know how or felt they were outside of my power. I wanted to finally buy my own place and advance in my career. Once finishing the book I felt like I understood The Secret principles and I had the tools to achieve my goals and I did. By the end of 2008 I had accomplished both. To this day I still apply the principles of the law of attraction to every goal I have. - The principles have been around for centuries but been kept a secret by the people who have possessed them, mainly, powerful rulers of the time. - The key concept is visualization: writing out your goals and visualizing them as if you already have achieved them. I can see why the law of attraction and the power of positive thinking might be not seem believable at first because the concept is so simple. I shared the same thought at the beginning and wondered if it was really that simple. But the more biographies I read, the more I realized other successful people had applied them towards their success. If you are feeling this way, I suggest you try it out before dismissing The Secret. You might even realize that you are already incorporating them in your life. Think of someone in your life that always seems to be in a good mood and views things in his or her life as “the glass is half full”. What sort of life do they have? Are they constantly surrounded by positive and supportive people? Do good things continually happen to them? Do they bounce back quickly after a setback? Now ask yourself the same questions about someone you know that has a negative attitude either towards his or her self or in life in general. How would you describe his or her life? Following The Secret principles will change the power you have over your life. By shifting your thoughts you create the life you want (or do not want). You will feel that bad things will stop happening to you. It is not that they do, you have changed the way you think you will view them as opportunities rather than setbacks. To find out more visit the official website. I highly recommend clicking on the Living The Secret and then Secret Story Sharing to read stories people have submitted about how the book has changed there life. I often refer to this section whenever I need my spirit uplifted. Love the Secret principles? Click here to read more motivation for achievement.